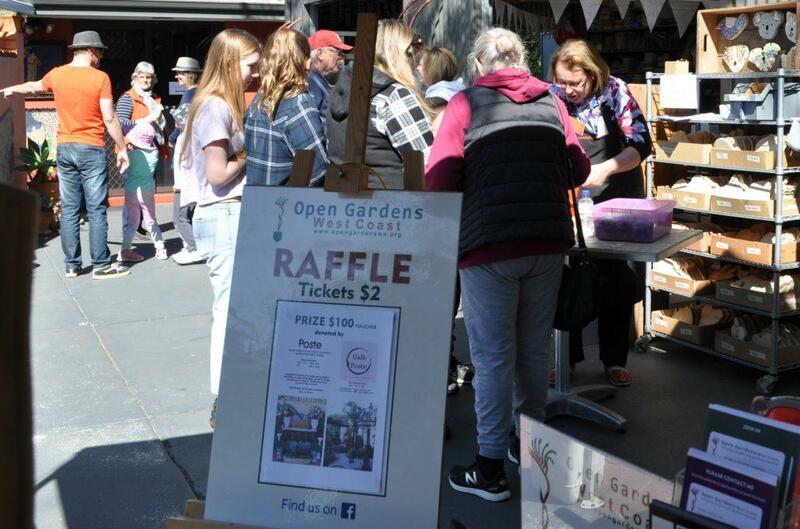 Joining Open Gardens West Coast is a great way to get involved in the community of enthusiastic gardeners and volunteers who create great gardens and arrange our program of openings and events. You can join in by becoming a Member, or by opening your garden, helping out as a Volunteer, or becoming a Selector to find gardens for our program. Annual Membership is $30 for a calendar year from 1st July to end of June in the following year. New members who join after 1st April will have a bonus two months and not need to renew until end of June in the following year. Everybody in Open Gardens West Coast volunteers their time, energy and expertise to build the best program of events that we can. Without our enthusiastic and talented volunteers, Open Gardens West Coast wouldn’t be here – why don’t you join the team? Our very special Garden Owners generously offer their gardens, along with their expertise, to share their love and enjoyment of gardening. Garden visitors love to talk to the garden owners and hear the special stories and experiences that went into building each garden. This is part of what makes Open Gardens such a vibrant part of our gardening community. Open Gardens West Coast can help you get ready for opening your garden, and provide you with help on the day. It is a great opportunity for garden owners to raise money for their favourite charity in their opening, and donate their share of the gate takings to the charity, which can raise more funds by providing refreshments, and their assistance at the gate would be welcome. You might like to organise other activities and events such as plant sales, art & craft, music etc. Any income from these activities goes to the owner or the charity of their choice. Open Gardens West Coast aims to open high quality gardens, of all shapes and styles, and our volunteer selectors play a vital role in identifying these gardens. Selectors are the key contact for garden owners and liaise with them to schedule the garden opening and arrange for support from Open Gardens West Coast where it’s needed. The Selector role isn’t full time, and you can arrange it to suit your availability. There’s no requirement for a set number of gardens from each selector – choose one, two or many gardens throughout the year. Or arrange for a small number of gardens to do a group opening (all open together). Open Gardens West Coast will provide you with guidance and support, and our experienced selectors can give you valuable guidance along the way.